Size of this preview: 800 × 558 pixels. Other resolutions: 320 × 223 pixels | 1,600 × 1,116 pixels. 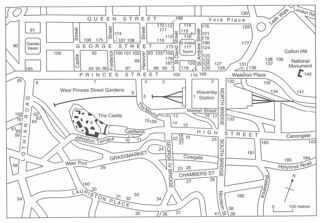 Edinburgh's buildings - location map, inset (Central Edinburgh_. From McMillan, A.A., Gillanders, R.J. and Fairhurst, J.A. 1999 Building stones of Edinburgh. Edinburgh: Edinburgh Geological Society. 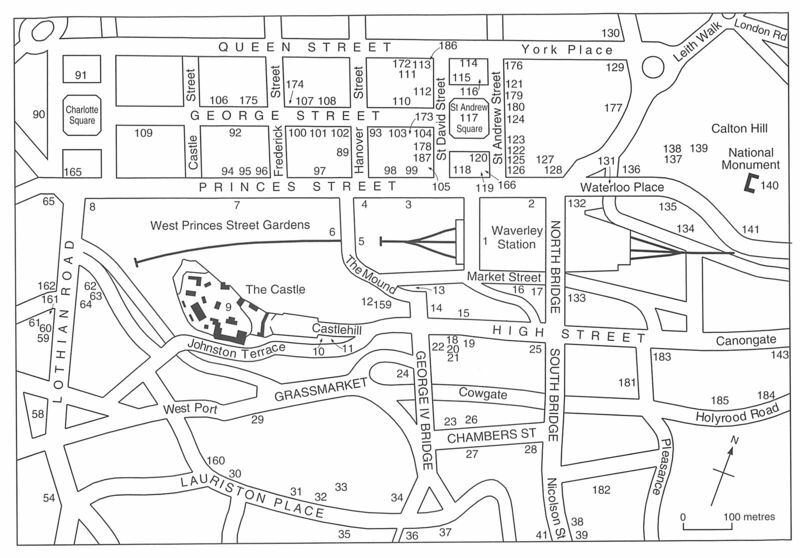 current 19:09, 1 May 2015 1,600 × 1,116 (321 KB) Scotfot (Talk | contribs) Location map of building stone excursion sites. Inset. Central Edinburgh. From McMillan, A.A., Gillanders, R.J. and Fairhurst, J.A. 1999 Building stones of Edinburgh. Edinburgh: Edinburgh Geological Society. This page was last modified on 1 May 2015, at 19:14.